NYC, 02/26/2019, 7:00PM. Indigenous Resistance in an Era of Climate Change. Nick Estes delivers insights from the book Our History is the Future. The book examines Indigenous spaces of anti-colonial resistance in the city, the countryside, and the reservation. From police violence to extractive industries, each is deeply connected to environmental justice. A closer look at Native movements shows how deeply connected urban and rural spaces are to decolonization in North America. 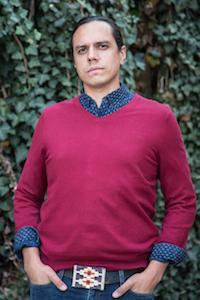 Estes is Kul Wicasa from the Lower Brule Sioux Tribe, an Assistant Professor of American Studies at the University of New Mexico, and a co-founder of the Red Nation, an organization dedicated to Native liberation. He is the author of the forthcoming book Our History is the Future: #NoDAPL, Standing Rock, and the Long Traditions of Indigenous Resistance (Verso, 2019), and edited with Jaskiran Dhillon the forthcoming volume #NoDAPL and Mni Wiconi: Reflections on Standing Rock (University of Minnesota, 2019).